If you’re like most people, you want nothing more than a fair shot in life: a chance to seek out opportunities, work hard, and make your own way in this world. But as author Allen Marshall explains in How You Got Screwed, the game has been rigged, making it almost impossible for you to win. 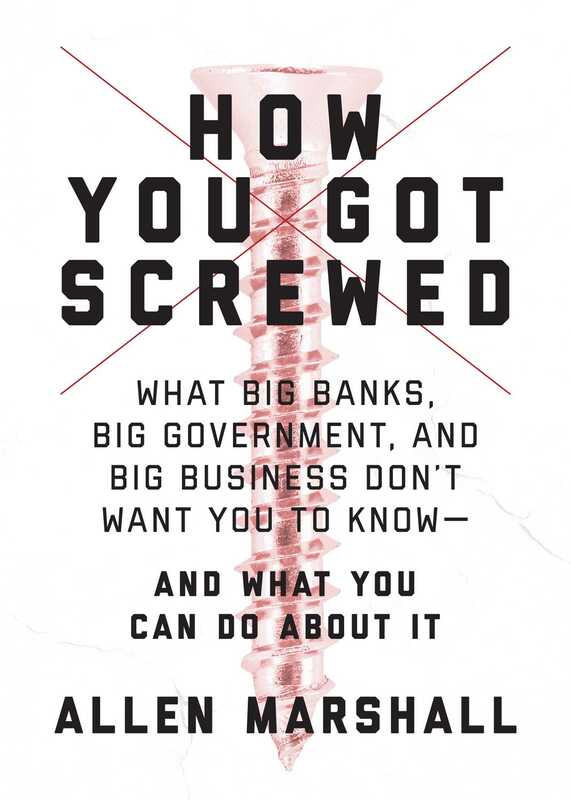 How You Got Screwed explains exactly how the rules have been made to favor those in charge. Consider the financial system, which steals your earning power with money that doesn’t hold its value and lets banks break the law practically without consequence. Think about our politicians, who serve their donors and lobbyists, and a government more interested in serving itself than its people. And remember big business, which uses its money and political power to twist the rules in their favor, hurting you as a consumer, employee, and citizen. Yes, the cards are stacked against you. But that’s only if you play by their rules. It’s time to play your own game—and How You Got Screwed is your guide to making the system work for you.